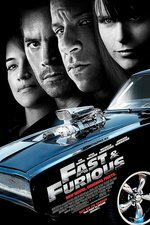 Brian O'Conner, now working for the FBI in LA, teams up with Dominic Toretto to bring down a heroin importer by infiltrating his operation. 45 on Metacritic, 28 on Rotten Tomatoes. 1.5 from Roger Ebert, Nathan Lee at NYT calls it "inoffensive if uninspired," while Desson Thompson at WaPo calls it "fun and frantic, like the original on double nitro."